The Lose Your Belly Diet is built around a very clear, research-based concept: eating food that nourishes and protects the microbes in your gut paves the way for weight loss and a slimmer middle. Most importantly, having great gut health is linked to good health and well-being throughout your body. Scientists in this rapidly growing field are finding connections between the gut microbiome and a healthy immune system and gastrointestinal system, as well as autoimmune diseases (such as rheumatoid arthritis and inflammatory bowel disease), allergies, and asthma-even cancer. And with every study that is published, they are convinced that a healthy gut leads to a healthy body. Indeed, when your gut is happy, your skin glows with health, and you look and feel younger. 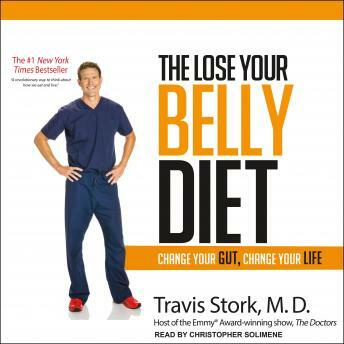 The Lose Your Belly Diet includes meal plans, diet recommendations, and recipes, giving listeners everything they need to make dramatic changes in their GI health, their weight, their belly fat, and their overall health.